Copper Canyon DaisyDeciduous perennial. Finely divided leaves are strongly fragrant when brushed aga..
Irish YewEvergreen shrub. Dark green foliage. Columnar growing habit. Large needles and more upright..
GermanderEvergreen shrub. Moderate growth rate. Mounded spreading form. Aromatic small oval-toothed ..
Bush GermanderEvergreen shrub. Moderate growth rate. Loosely rounded spreading form. 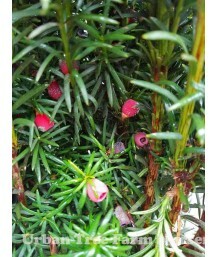 Medium-sized ar..
Bush GermanderEvergreen shrub. Mounding habit. Silvery gray-green leaves above and white beneath. De.. Compact Bush GermanderEvergreen shrub. Moderate growth rate. Rounded spreading form that is smaller ..
American ArborvitaeEvergreen conifer. Dense, pyramidal habit. 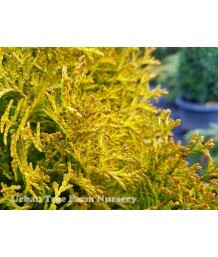 Golden foliage does not bronze in wint..
Oriental ArborvitaeEvergreen conifer. Very slow growth. Dwarf habit with a dense pyramidal form. Lem..
Princess FlowerEvergreen shrub. 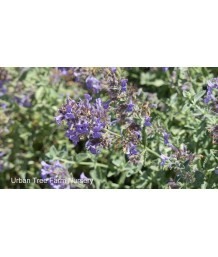 ONLY HARDY TO 25-30° F. ribbed leaves are oval and new foliage is co..
Princess FlowerEvergreen shrub. Pruned into a single trunk tree. ONLY HARDY TO 25-30° F. ribbed leav..
Society GarlicEvergreen perennial. Moderate growth rate. Clumping rounded form. 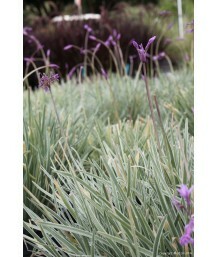 Very narrow grass-li..
Society GarlicEvergreen perennial in mild climates. Moderate growth rate. Clumping rounded form. Ver..
Society GarlicEvergreen perennial in mild climates. 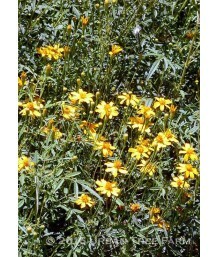 Evergreen perennial in mild climates. Moderate g..